Coco Bodu Hithi is located in North Male Atoll, approximately 40 minutes by speedboat from Male international airport. There are over 4 types of villa options here at Coco Bodu Hithi, including Island Villa, Water Villa, Escape Water Villa, and Coco Residence. All of the villas share the same principle in providing guests with the maximum space and privacy. Island Villas are built on the white sand that frames the island; it is also the largest room type on the island. There are a total of 44 Island Villas and each individual has its own private garden, pool, and sundeck in the backyard, as well as lounge chairs and day bed in the front porch leading towards the beach. One main highlight I must point out is the giant round bathtub in the center of the room that separates the bedroom area and the living room space. 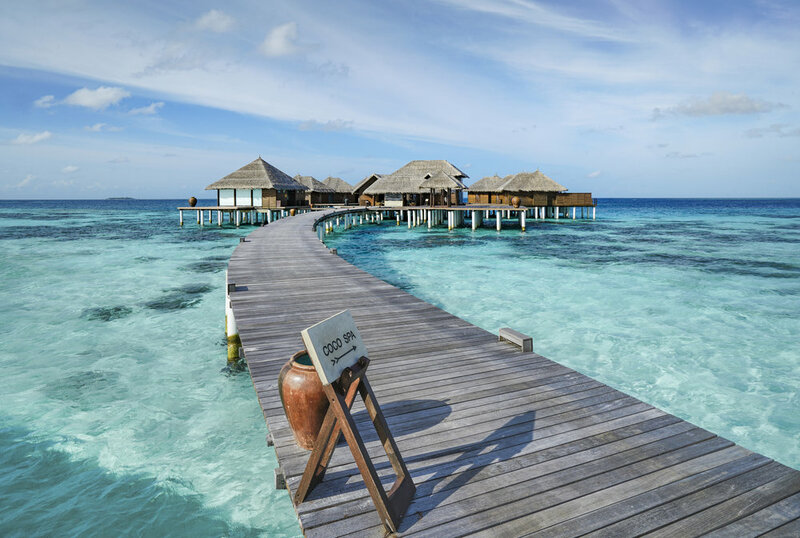 There are 16 Water Villa and 16 Escape Water Villa, the main difference is that there is a larger infinity pool and outdoor bathtub at the Escape Water Villas. 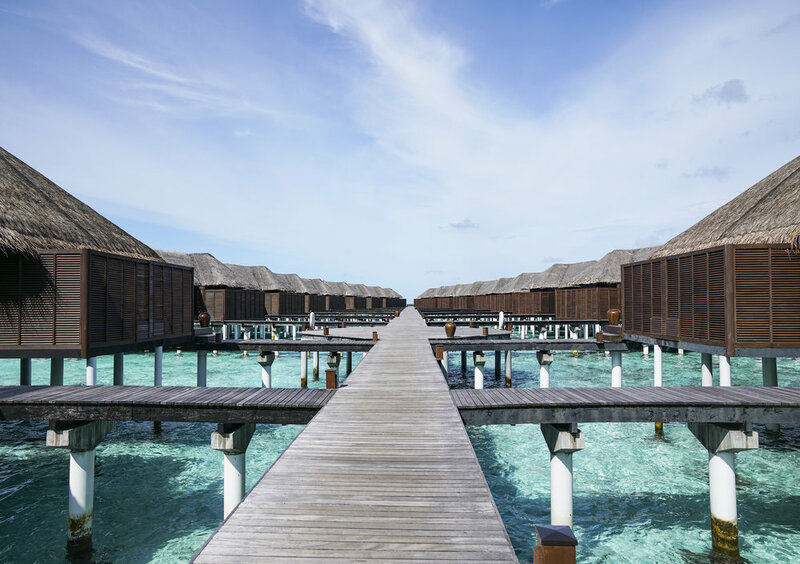 All the water villas are designed with sliding doors to maximize light and airflow, guests have the flexibility to open up the entire space or partially. The Coco Residences are the most luxury villa type at Bodu Hithi with 184 square meters of living space. These 24 villas are located on the edge of the island with it's own restaurant and dedicated lifestyle hosts to ensure ultimate privacy. Besides, Coco Spa and gym are also just steps away so guests who are staying at the Residence practically don't have to leave the area. There are 5 restaurants and 2 bars here at Coco Bodu Hithi that offers both global and local flavors. Each year, Coco Bodu Hithi invites a Michelin-starred chef to visit and create a one-off experiences - a testament to their reputation to create and serve some of the best food and drinks in the Maldives. From fine dining to beach barbecues, there are plenty of different options that will satisfy the needs of different guests. Air, the main restaurant that serves international breakfast buffets and themed dinners, as well as a la carte lunches that features a wide range of selections. Aqua, a fine dining seafood restaurant that sits over the water, offers a spectacular view as well as delicious fresh seafood. 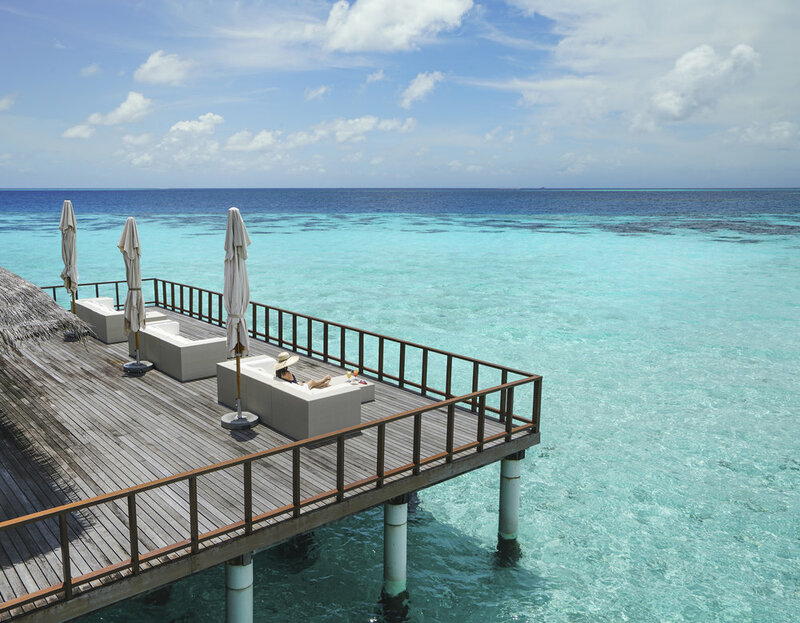 In 2016, it was voted as the "Best luxury seafood restaurant in the Maldives." Latitude Bar is located next to Air and the main pool, features a classic selections of cocktails and drinks and as well as variety of food on its menu. Guests can enjoy stone-baked pizzas, sandwiches, asian classic wraps, and different appetizers for lunch. Stars is both a restaurant and a bar, located by the Coco Residence villas, and serves 3 meals a day. This restaurant serves inspired fusion Mediterranean and contemporary Asian cuisine. Tsuki serves Japanese cuisine, including Japanese soups, salads, tempura, sashimi, sushi, hot dishes and desserts. There is also different set menus to choose from. Wine Loft in Coco Bodu Hithi have a selection of over 200 diverse global wines. Expert sommelier will be there to recommend and serve wines so that guests can always find a bottle that they like.